Lottie is a smart, sassy river otter who leads you in your new role as decorator in the Animal Crossing™: Happy Home Designer game. She isn't afraid to call out her boss—the successful business-raccoon Tom Nook—on his shenanigans, but she's also his most loyal employee. 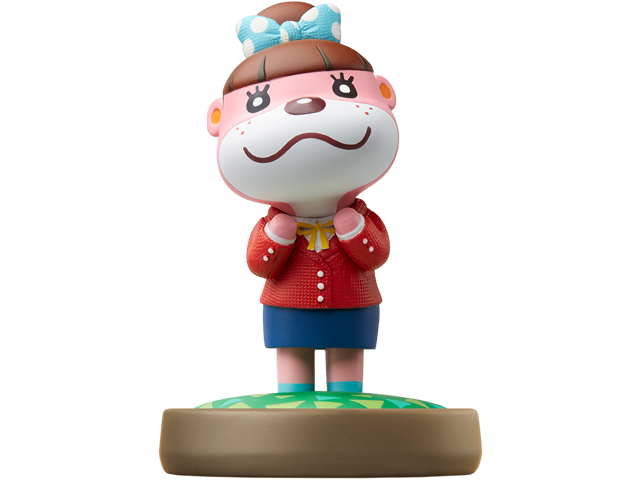 Lottie's uncle Lyle works with her at Nook's Homes, as does her crush – Isabelle's twin brother Digby. Lottie is compatible with several games. Click here for details.